It's been 10 YEARS since the lovable, charming and deadly serial killer Dexter asked, "Hey, wanna play? ", and Showtime wants you to vote for the top episodes of all time. 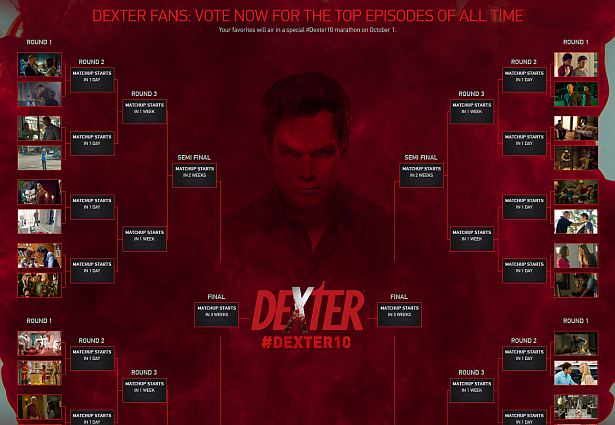 Starting tomorrow, August 29, you can visit sho.com/dexter10 and pick the ones you loved. Your favorites will air in a special #Dexter10 marathon on October 1, 2016.